We have all send biometrics in the movies identifying users by fingerprints and eyes. But what about ears? The University of Southampton’s School of Electronics and Computer Science have been busy developing a system using a program called image ray transform for biometric access approval. The new system uses people ears as the identifier and has already achieved a a 99.6 percent success rate in automatically locating and isolating ears in 252 photos of peoples’ heads. Prof. Mark Nixon based at Southampton says ears are an extremely good biometric indicator as they are unique in structure and they dont change as the person ages or affected by facial expressions. 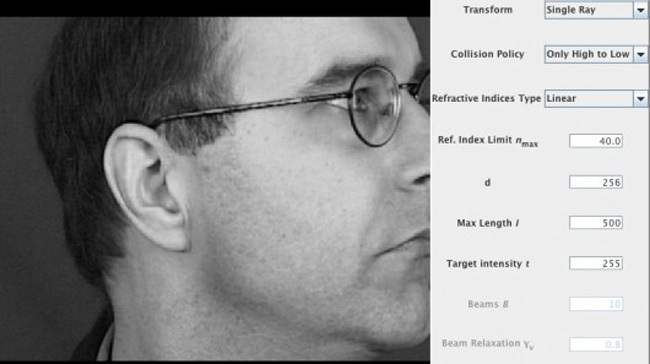 The image ray transform used in this study utilizes a “pixel based ray tracing technique” and a subset of the laws of optics, analyzing the way that light reflects off of objects in pictures.It is able to identify and extract tubular and circular features from images, such as the helix (the curved outer rim) of someone’s ear. The system then creates an isolated image of just the ear, even allowing for hair or spectacle arms covering part of it. The ear’s owner could then be identified by matching that image to one in a database of ear images. The research was detailed in the paper A Novel Ray Analogy for Enrolment of Ear Biometrics which was recently presented at the IEEE Fourth International Conference on Biometrics: Theory, Applications and Systems.